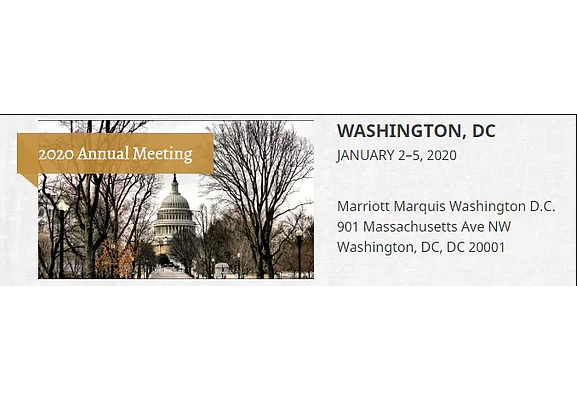 The 2020 Annual Meeting, which will be held January 2-5 in Washington, DC. Here is a reminder of the Feb. 15 deadline for submitting abstracts for the Society for Ancient Medicine and Pharmacy panel at the January 2020 Society for Classical Studies meeting “Ordering Information in Greco-Roman Medicine”, sponsored by the Society for Ancient Medicine and Pharmacy (SAM). SAM is an affiliated group of the Society for Classical Studies. As knowledge about the body expanded from classical Greece through the imperial period and into late antiquity, so too did the techniques and practices devoted to encoding that knowledge. Physicians, encyclopedists, pharmacologists, and others developed a wide range of strategies to collect, contain, and organize the swelling tide of information, from standardized capite ad calcem anatomical orderings to more specialized organizational schemes. Testimonials to Asclepius, compilations of pharmaceutical recipes, papyri of catechisms for physicians – all sought to configure medical knowledge for divergent ends, whether didactic, therapeutic, or theoretical. Recent studies of books and libraries in the ancient world (e.g. Too 2010, König et al. 2013, Houston 2014) have shown how the production and propagation of books and other material embodiments of information were crucially shaped by institutional, political, and technological factors. Particularly potent influences included the gradual spread of libraries (public and private, specialized and general), the transition from papyrus roll to codex, and the rise of information technologies like tables of contents and indexes. Other pressures might have specifically attended medical knowledge, which circulated in manifold ways, in multiple medical communities, and needed to be utilized in various circumstances. We invite papers on any aspect of approaches to structuring and accessing medical knowledge in the ancient Mediterranean, how information technologies interacted with medical knowledge or how these practices relate to wider social and scientific concerns. Accepted papers will be presented on the SAM panel at the SCS at the 2020 Annual Meeting, which will be held January 2-5 in Washington, DC. Applicants must be members of the SCS at the time of application. Please send an abstract of 500 words of your proposed paper (20 min.) by e-mail to Courtney Roby ([email protected]). The abstract should omit any reference identifying the author to ensure anonymity in the review process. Deadline for submission of abstracts is February 15, 2019.